Hate the way cleansing leaves your skin dry and stretchy? In Style reveals the best cleanser for dry skin! In Style brings you all the fashion, beauty and celebrity buzz you need to know. And it’s recommending Pestle & Mortar Erase & Renew for cleansing your skin every night! What’s the Best Cleanser for Dry Skin? I am actually a firm believer in double cleansing! The Erase and Renew series from Pestle and Mortar is basically waterless, as you remove each step with a gentle damp cloth. First, you apply the Erase balm, which melts over your skin and is made with ingredients to nourish and stimulate cell turnover. After you remove it with the cloth, you apply the Renew cleansing gel. This yellow-tinted product leaves your face feeling fresher and cleaner than ever, but without being tight and uncomfortable! Again, you remove this portion with a wet cloth and then you’re set to moisturise! 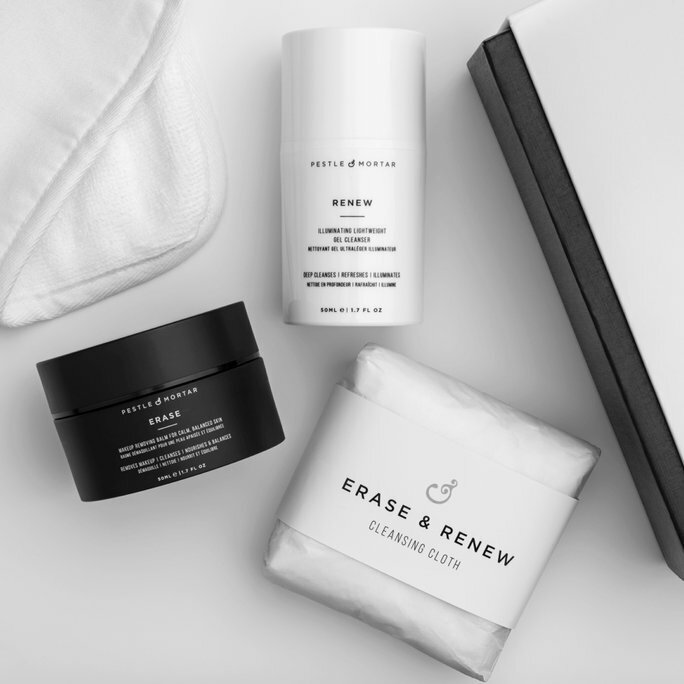 ← Pestle & Mortar Erase & Renew win Social & Personal’s Beauty Awards 2017!